Everyone likes magnolias and they are distinctive for having the largest flowers of all spring-flowering trees, indeed all trees. In the wild the 200 or so species (some species keep moving genus) have a distribution centred around the Pacific. East Asia is the centre of the genus with other species found in North America and Central America. It seems odd that none moved west into Europe. The other thing that everyone knows about magnolias is that they are among the most primitive of flowering plants. They are considered primitive because the parts of the flowers are not very differentiated – the stamens are rather similar to the petals. Although the flowers are attractive to us, it is thought that magnolias evolved before bees had appeared on Earth and that they were pollinated by beetles. Beetle-pollinated flowers are often rather mustily scented and they have to be robust because beetles often eat the petals and pollen – they are more rumbunctious than bees. Fortunately, most magnolias smell good to us. We tend to expect magnolias to bloom in spring and on bare branches but there are evergreen species and others that flower in summer. 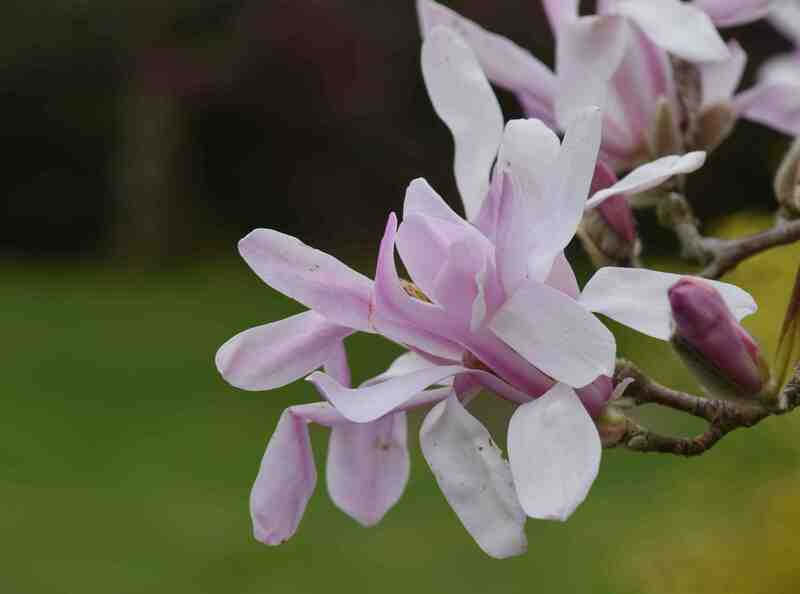 As a rule, magnolias prefer a moist soil and have fleshy roots that do not transplant well so make sure you do not (as many people do) put your magnolia in the front lawn in front of your sitting room window because it will soon shade out your room. 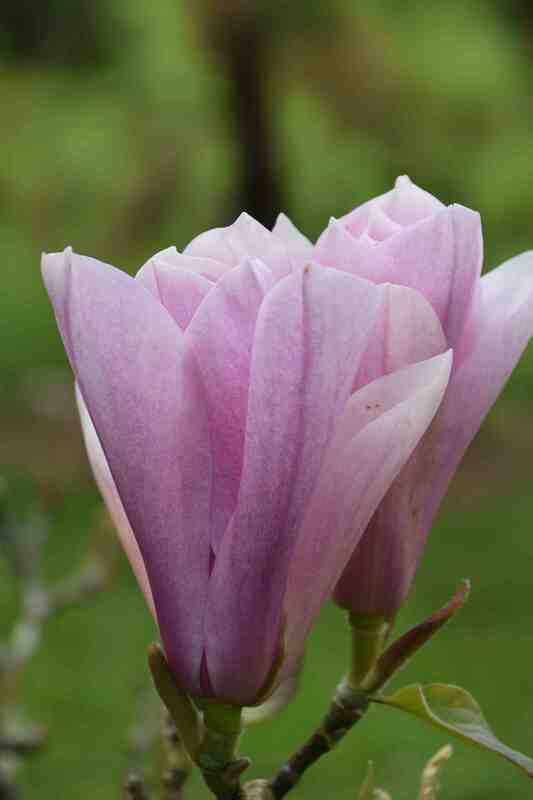 And not only do magnolias not move well, they are not very fond of pruning either. If you are careful you can prune them and a remember well a Magnolia x soulangeana, the common magnolia, trained as an espalier against a wall which was hard pruned back to the main stems every year after flowering and it bloomed well every spring. You need to prune immediately after flowering so the new stems have enough time to develop flower buds for the nest year. The trouble is that most people don’t give the plants enough room and they cut back the stems to make the plant smaller and the magnolia responds with ugly, upright ‘water shoots’. If you need to prune a large shrub it is best to thin out the stems, cutting back to a fork or to remove the lower branches to raise the crown. 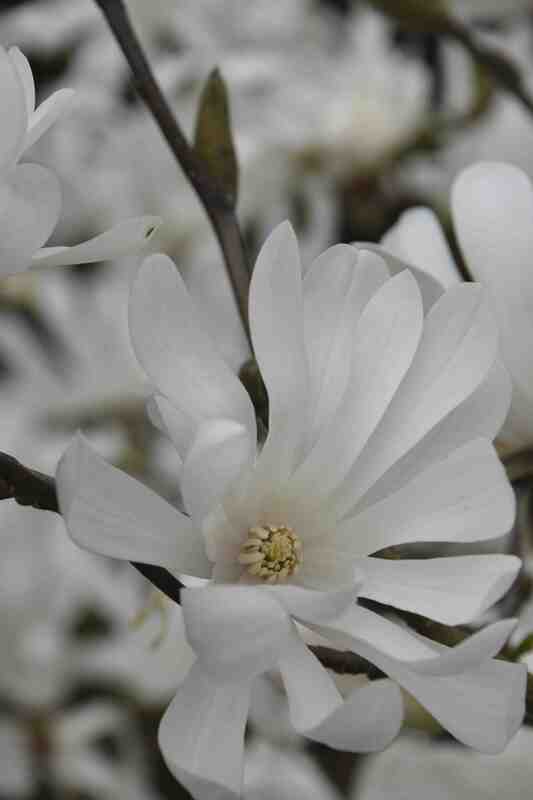 Most magnolias prefer a neutral or acidic soil and they are not good on thin, chalky soils. 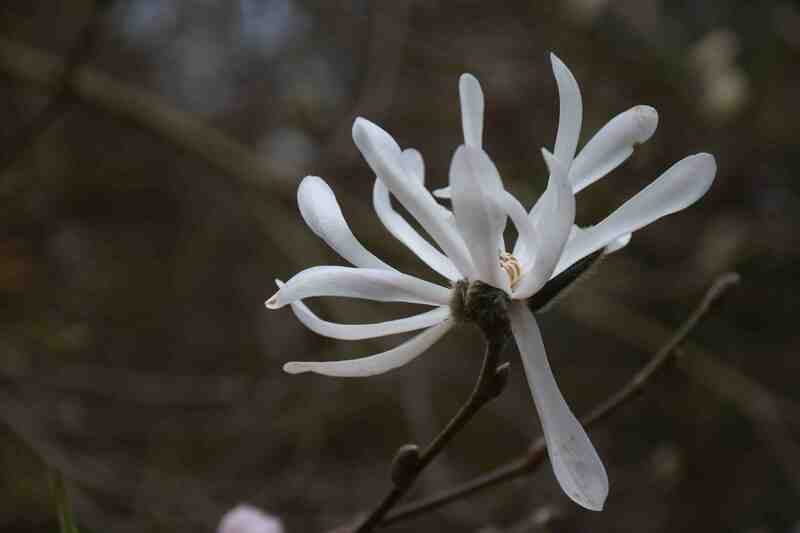 If you are not sure if you can get away with a magnolia it is probably best to start with Magnolia stellata because it is among the cheapest and most amenable. Anyway, here are a few nice magnolias I have seen recently. 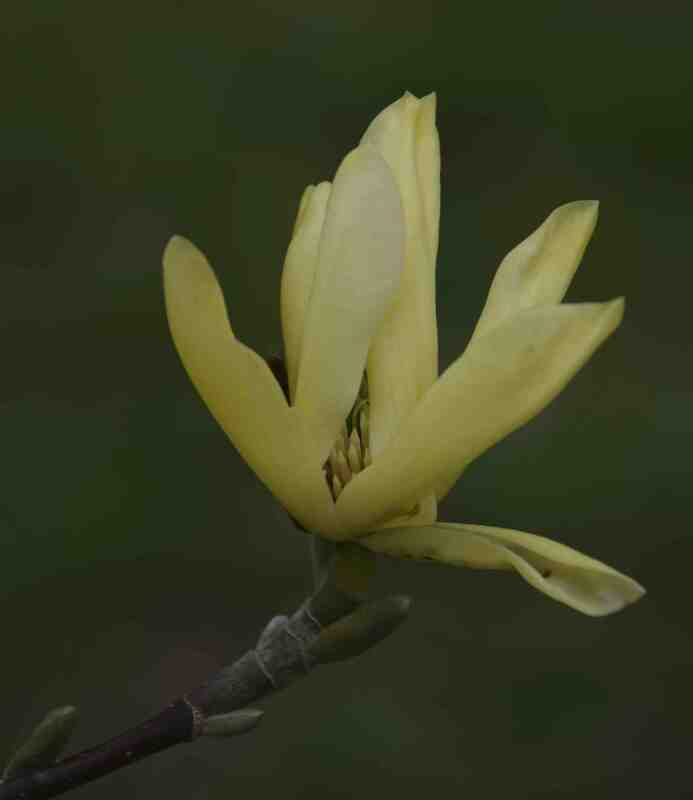 This is Magnolia x loebneri ‘Leonard Messell’ which was raised before 1955 at Nymans, Sussex, UK, and was a chance cross between M. kobus and M. stellata forma rosea. It is a perfect magnolia for a small garden being compact and bushy with lots of rather small, pink flowers that open from deeper buds. The blooms are not huge but the profusion of them makes it a colourful small tree. 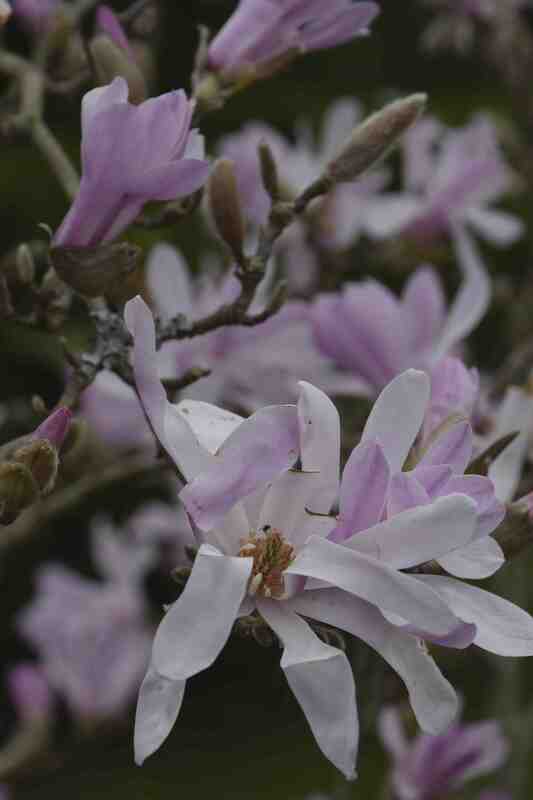 This is Magnolia stellata ‘King Rose’ which is a bit of a misnomer because the flowers are barely pink. There is a slight hint of pink in the open flowers but they are basically white. The petals are quite broad and the tree is compact and twiggy. Yellow magnolias are still a bit of an oddity but more are being introduced every year. The yellow pigment in the flowers comes from the cucumber tree* (M. acuminata) from America and this is a big, big tree so the earliest hybrids were big too and did not flower till they were quite an age – not things that modern gardeners tolerate. But as breeding has progressed, cultivars have become smaller and brighter yellow. ‘Elizabeth’ is an established cultivar and is a medium-sized tree with masses of beautiful pale yellow flowers. ‘Butterflies’ (below) is said to be the ‘yellowest’ of all the yellows with flowers about 12cm across, daintily perched on the branches. It will get to about 5m high in maturity. ‘Goldstar’ is a hybrid of the yellow ‘Miss Honeybee’ and M. stellata. 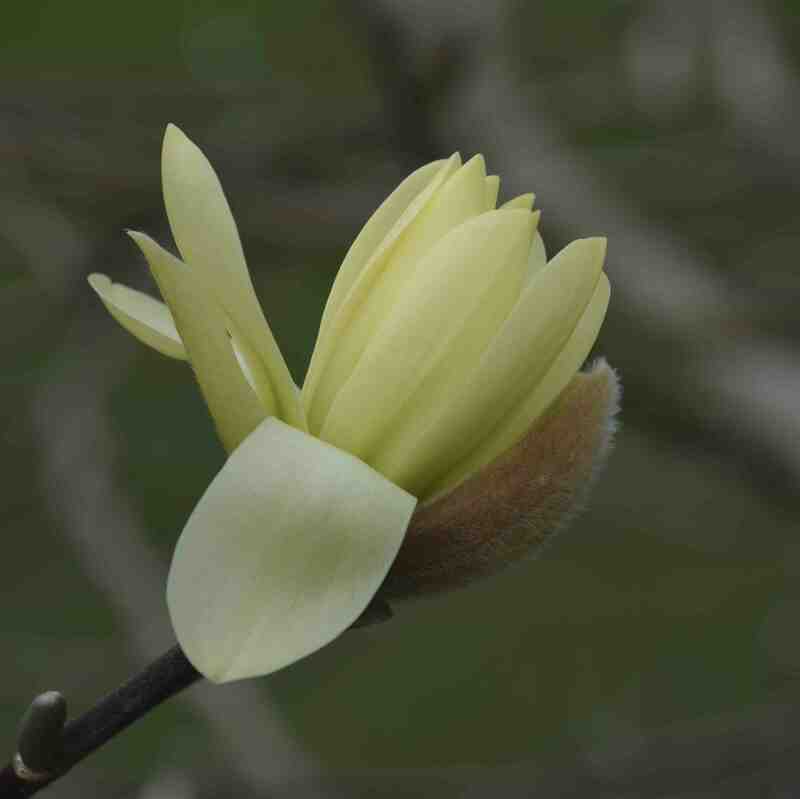 It is slow growing and is worth considering as your magnolia because it has the bonus of attractive foliage. The young leaves, which emerge as the flowers fade, are bronze and age to deep green. 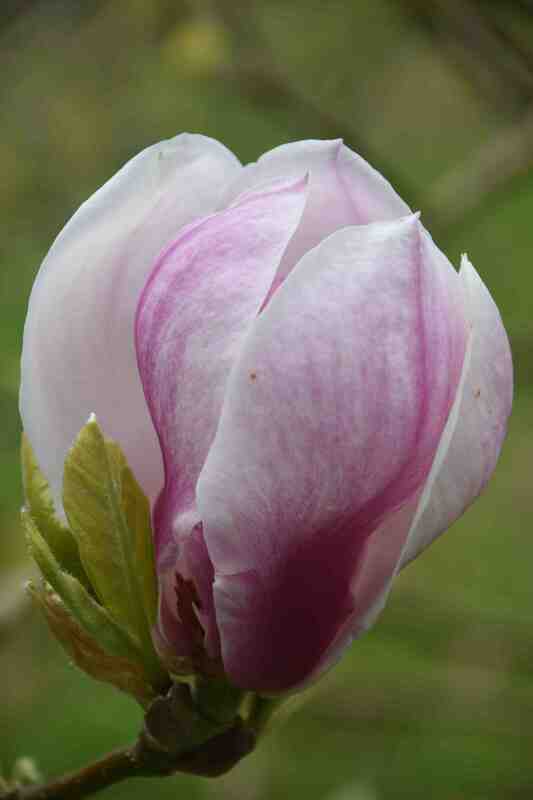 If you prefer your magnolias a more traditional pink then ‘Heaven Scent’ might be for you. It is one of the Gresham Hybrids. This is a group of plants raised by Drury Todd Gresham (died 1969) in California. He raised 3000 seedlings from crosses involving M. denudata, M. campbellii and M. x soulangeana. The crosses were made in 1955 and the first seedlings bloomed in 1960, a remarkably young age, the same year the first scion wood was received in the UK. One of the most successful of these is ‘Heaven Scent’, a tree up to 7m high with large flowers that are conical in shape and rich pink. I pushed my nose deep into the flowers but I honestly couldn’t detect much scent at all but that may have been down to the cold, dull day – this was bred in California after all! And lastly, good old M. x soulangeana. This was bred by a Mr. Soulange-Bodin at Fromont near Paris, as a cross between M. denudata and M. liliiflora. The first seedling flowered in 1826 and the cross has been repeated several times and there are many named selections that all vary in colour from pure white to fairly deep, purplish pink. Below is the well known ‘Rustica Rubra’ which is one of my favourites. It was found in a nursery in Boskoop, a famous nursery area in The Netherlands, before 1893. It is thought to be a seedling from the earlier and still well regarded ‘Lennei’ and is a bigger and more vigorous plant. The flowers are a bit rounder and dumpier than the standard and a good, rich colour. well yes I forgot to mention that they are tulip trees! And I had forgotten that too till I just heard it. Off to do a talk now. I like the yellows – they are stunning against a blue sky. I saw the magnolias in Gloucester, Virginia – I should perhaps have explained that!